This picture was taken by guide Tony Smith yesterday morning. 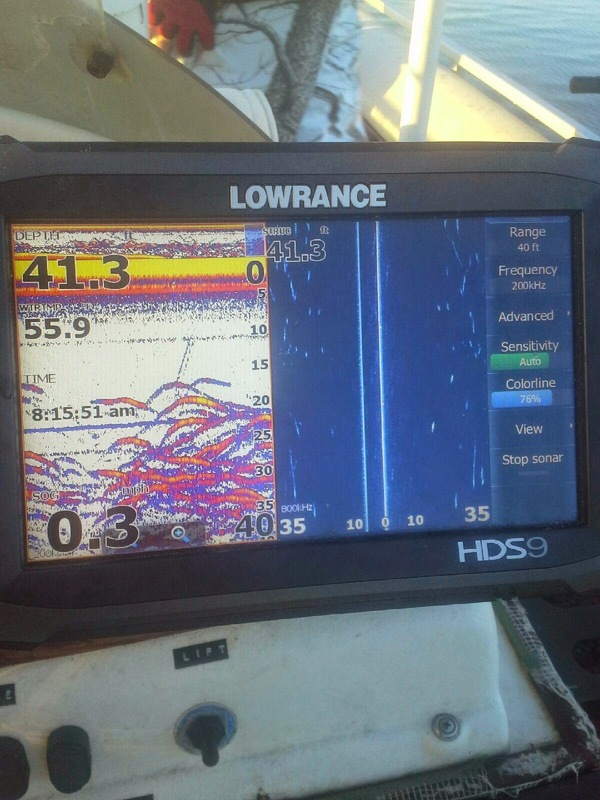 He took clients out and by the looks of the Lowrance he put his clients on the Stripers. Tony is also an avid hunter but he took off the first morning of hunting to take his clients out. Great day fishing with my teenage son! Many thanks to our guide Tony who did a superb job of keeping us on fish. Tony is a sharp man with ready conversation and an engaging spirit. Lake Anna is always pretty in the morning, but winter sunrise is arguably the most gorgeous morning event throughout the year. The Stripers did their part too; we caught two dozen and boated nearly a limit of quality keepers. Highly recommend an outing with Jim Hemby, and in particular Tony, especially as an opportunity for a dad to spend time with teenage children.